On the right of the panel is a prominent red placard directly above what appears to be (of all things) an ashtray. The mystery surrounding the over sized knob on the CC part is now solved, but it raises other questions for me. The Cobra is a two man ship. 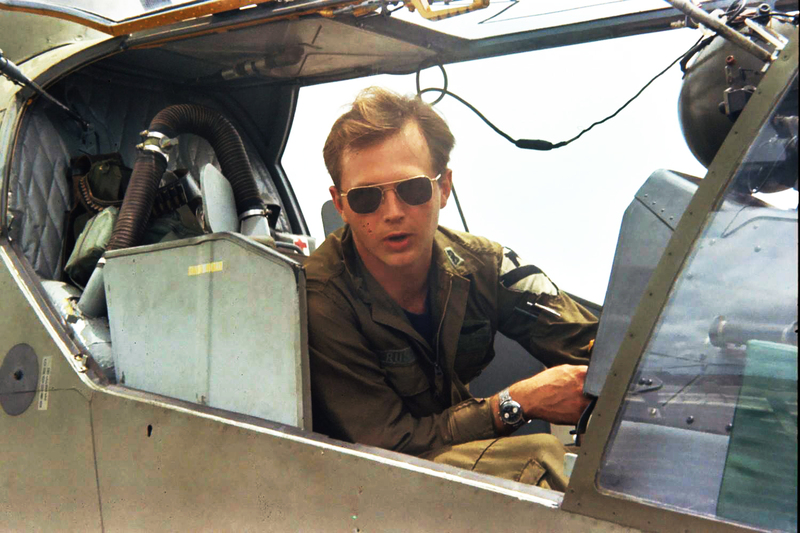 If the pilot has an ashtray, it stands to reason that the gunner's position would also have an ashtray. Were G model Cobras really equipped with ashtrays? Where would the gunner's tray be located? Were they also equipped with cigarette lighters? 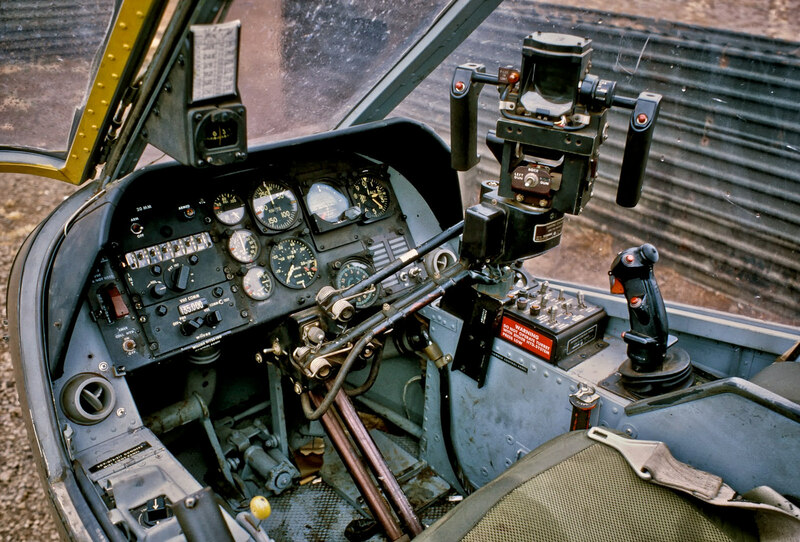 The rear bulkhead of the cockpit set features four rings and a rather bare shelf-like area below. Does anyone have a good photo of this area or can someone please explain to me what purpose the rings serve? I’ll have a look in my Squadron AH-1 Cobra Walkaround when I get home. 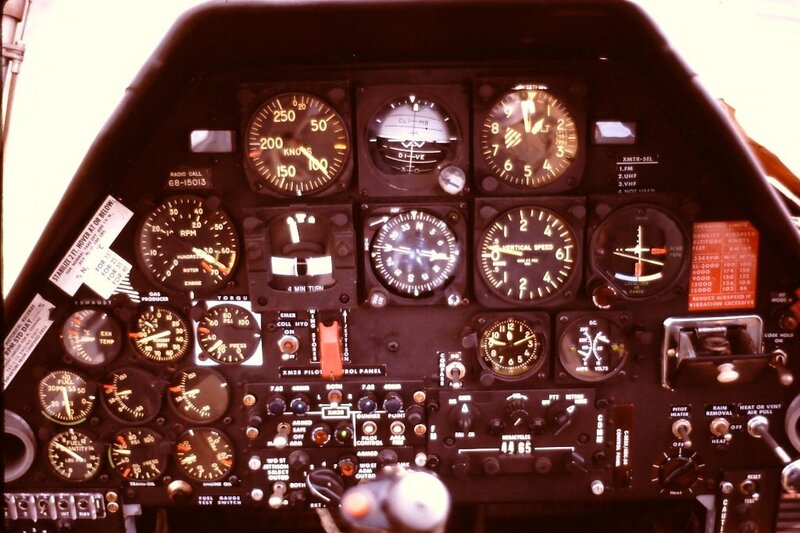 They have some good cockpit photos in that book. I thought perhaps I was looking at a reconditioned panel or perhaps a custom job, but I am seeing it time and again in other photos of the G model taken from '67-'72. Now that I am intrigued by this little detail, I can't help but look for it in every photo I see. Most of the manuals I've looked at tend to focus on the instrument layout and switches, but I haven't found any specific mention of an ashtray. Still, it's a fun detail to work in, open or closed! Now how are you gonna model the ashes and butts? So THAT’S why no new tool 1/32 or 1/35 AH-1G has come out! The anti-tobacco lobby would be up in arms like screaming chimpanzees! 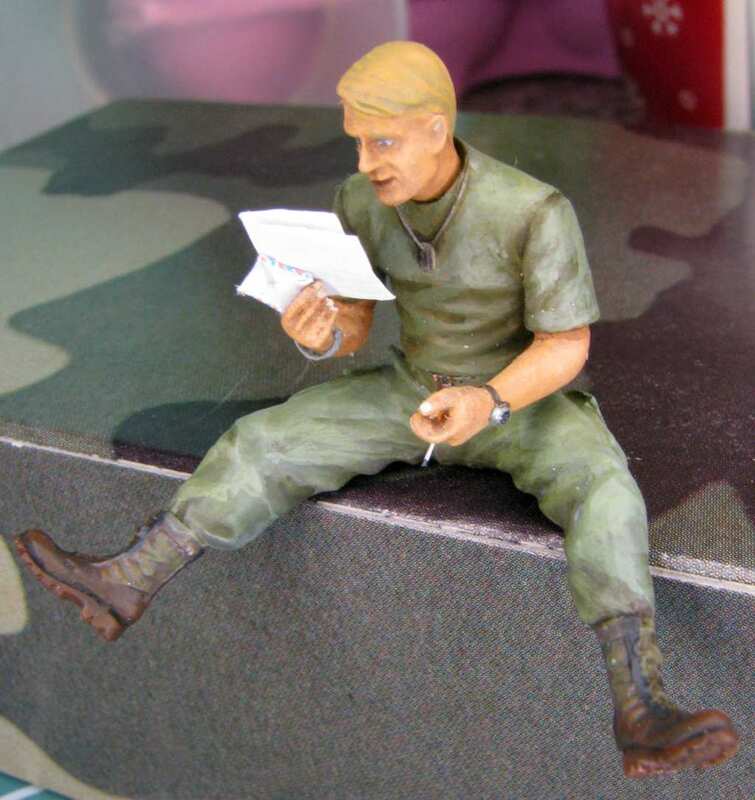 As we all know, tobacco placement in model kits in any way, shape, or form is totally unacceptable, lest junior become brainwashed into a two pack a day addict! Okay tongue in cheek mode off. I actually hate smoking. Maybe the gunner didn’t need an ashtray, because whenever HE lit up, the bad guys got smoked. Okay tongue in cheek mode off for real this time. But seriously, a really good, 1/35 modern tool AH-1G is overdue. Kind of strange that the original helo gunship gets no love. Might explain all the cigarette butts on the front seater floor ;) Click the images for a larger version. Thanks, Snake - it seems to confirm my suspicions on the front seat position. It's good to get confirmation on the lighters as well. Stick - not entirely sure how to approach butts and ashes. Perhaps wire or stretched sprue paired with a pinch of embossing powder and powdered pigments? Might just be easier to replace the knob and leave it closed, but I'll still poke through the spares for PE scraps that I can tinker with for a tray. Painting it right is important. As for the ashes, just take some gray paint and it should do. I had a look in my Squadron Walk Around book. There are no good close up photos of that area. 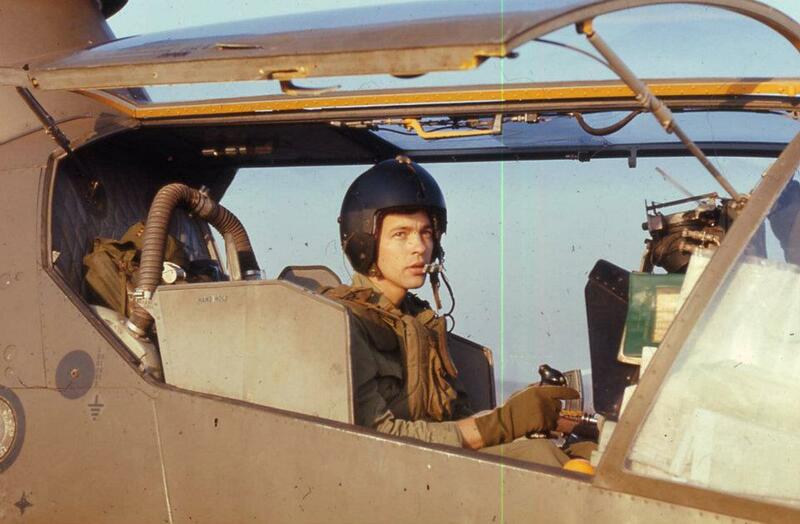 One photo does show a first aid kit mounted on the bulkhead behind the pilot’s left shoulder. 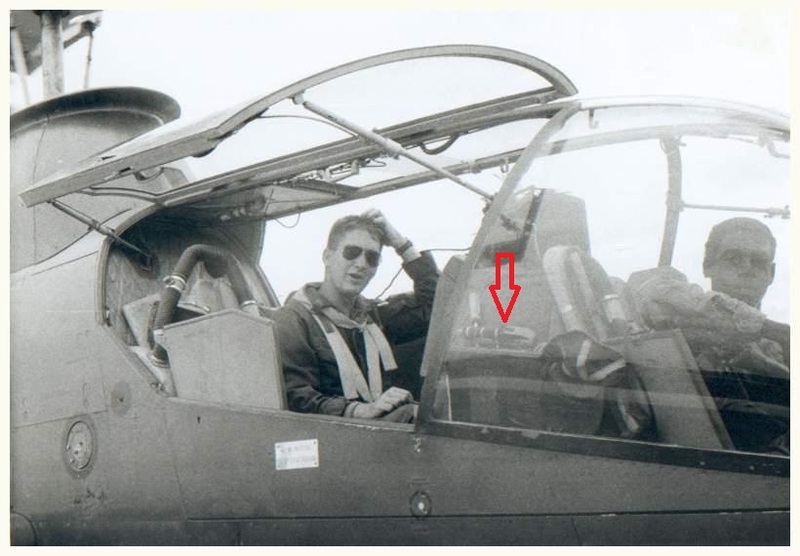 Another photo shows a steel pot hanging off something by the chinstrap behind and over the pilot’s right shoulder. 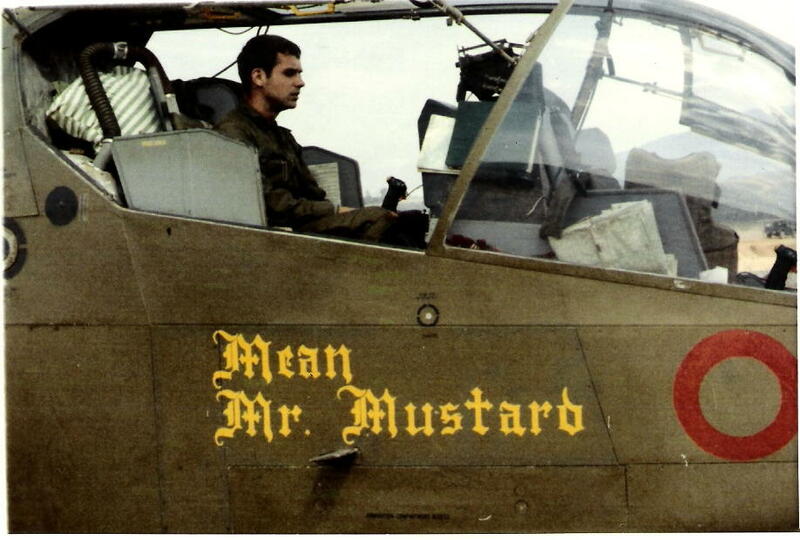 the area behind the Cobra aircraft commander (back seat) mounted some ECU equipment in later models with A?C's but the early ships had only a survival kits (Jungle) strapped to the bulkhead. The early Revell Cobra shows a big nondescript box with a strap. Actually the kits mounted to rings on the bulkhead and contained food, water and a jungle axe that everyone pilfered. It was canvas in OD and the surrounding area was gull grey padding. I may have a picture of the areea somewhere but not as a primary focus. Aircarft commanders put raincoats, flight jackets, Cav hats back there but nothing heavy for fear of it becoming a projectile. In regards to the ashtray, would it not be extremely dangerous to smoke inside a vehicke using avgas and loaded with explosives? Plus what happens if the pilot dropped his smoke on his lap, looked down for a moment, and didn't see the power lines up ahead? Some friends who have had to ride around in CH-53s remarked those things reeked of avgas fumes. Never saw a power line in Vietnam but hit a couple of telephone lines. Smoking was not my major concern. All those people shootong at me was my mian concern. In regards to the ashtray, would it not be extremely dangerous to smoke inside a vehicke using avgas and loaded with explosives? Most military explosives are pretty cigarette proof. Military grade explosives such as Det cord and C4 require heat and high pressure to detonate. This is provided by another component- a blasting cap, fuse, etc. that detonates the main charge. The cap or fuse can be set of by differing means:percussion, electrical, impact, etc. depending upon type. Here are some images of this area. The old Squadron Signal Walk Around lacks in many ways. As noted by Darkhorse 16, featured in the walk around, the area was often used to stow all kinds of warfighter stuff up to and including a pillow by one intrepid Army Aviator. Note the canopy breakfree knife on the antiglare shield in this image. Thanks for sharing your input, gentlemen! The breakfree knife is a detail that I have read reference to, but the photo makes it so much clearer. I'd forgotten how often you can spot Army issued 90 MPH tape being used. Dad always seemed to have a roll of that tape in his flight kit, so it seems that it may be another one of those little details that needs to be worked in! Thanks again - it's very much appreciated! If you should happen to have any more of those "must include" details on the Cobra, please let me know! Here is a better picture of it and a pointer on that image and another. The purpose of the breakout knife was to shatter the canopy for escape. Not worth poop for "cutting out." The canopy will shatter and allow egress when struck by the short stubby, very heavy breakout knife or tool. I presume the edged portion of the knife would cut any harness straps that did not release? The breakout knife is a new one to me. I’m quite familiar with the aviator survival knife.